2019 has now arrived and the tournament preparation is well underway. We hold great pride in being able to host the first IWKA World Championship in Europe. 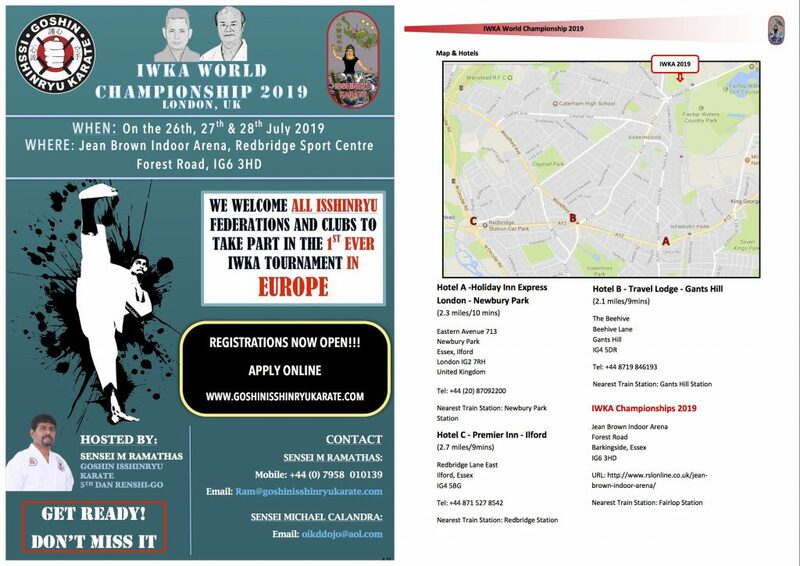 Goshin Isshinryu Karate would like to invite you to London to join us in celebrating the 42nd Anniversary of IWKA Championship. We are expecting participant from all over the world and are hoping to make this tournament not to be forgotten. O’Sensei Kichiro Shimabuku will be gracing the event and will be hosting seminars alongside Sensei Michael Calandra. Please find attached all details for the event. Please do not hesitate to contact me on ram@goshinisshinryukarate.com. 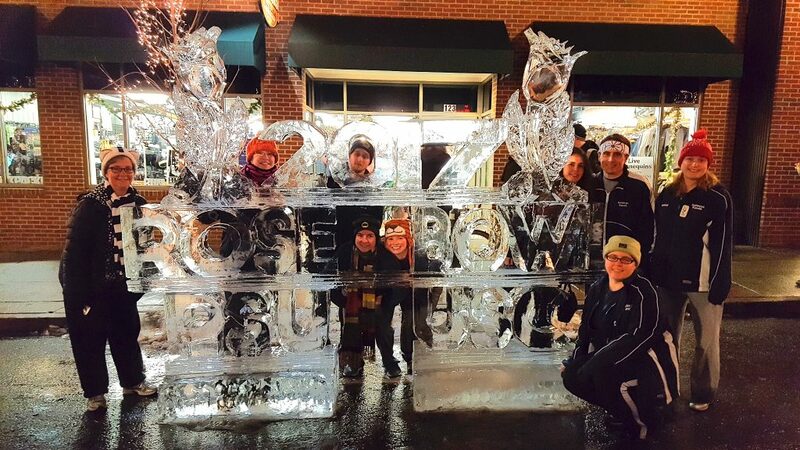 This entry was posted in Events on January 28, 2019 by Sensei Koszarsky. Look for the Penn State Karate Club table at the Fall 2018 Involvement Fair. The Involvement Fair is one of the best opportunities to get involved in campus life at Penn State. Student Organizations set up displays and have members on site talk to visitors one on one about what their organization does on campus. Involvement in co-curricular experiences is one of the most important parts of having a successful college career! You will make friends, learn all about Penn State, and develop invaluable skills you will use in life beyond Penn State. This entry was posted in Events on August 16, 2018 by Sensei Koszarsky. I would like to say a few words regarding The 1st Okinawa Karate International Tournament. “Okinawan Karate”, one of the representatives of Okinawan culture, has been brought up in the environment of Okinawa where peace and observance of courtesy are highly valued, and passed down until today as a martial art which aims to strengthen one’s body, skills and character. Preserved and handed down generation after generation, we have inherited karate from our ancestors. Today it is practiced across the world and will be included in the events in the 2020 Tokyo Olympics. 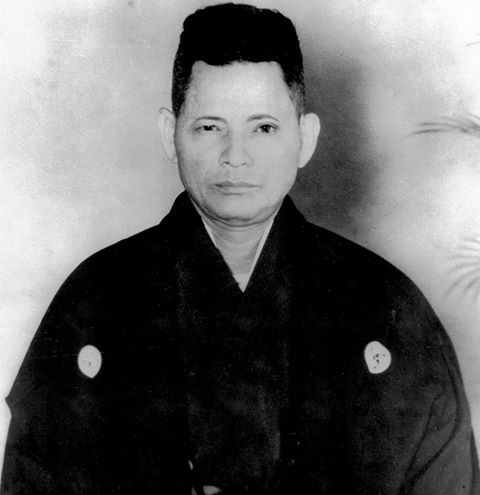 Okinawa Prefecture has been striving to preserve, pass on and develop Okinawan Karate, and has also established the “Okinawa Karate Kaikan” as a symbolic facility providing information to both Japan and abroad. It opened to the public on March 4th. We have decided to utilize the Okinawa Karate Kaikan for “The 1st Okinawa Karate International Tournament” in August 2018. 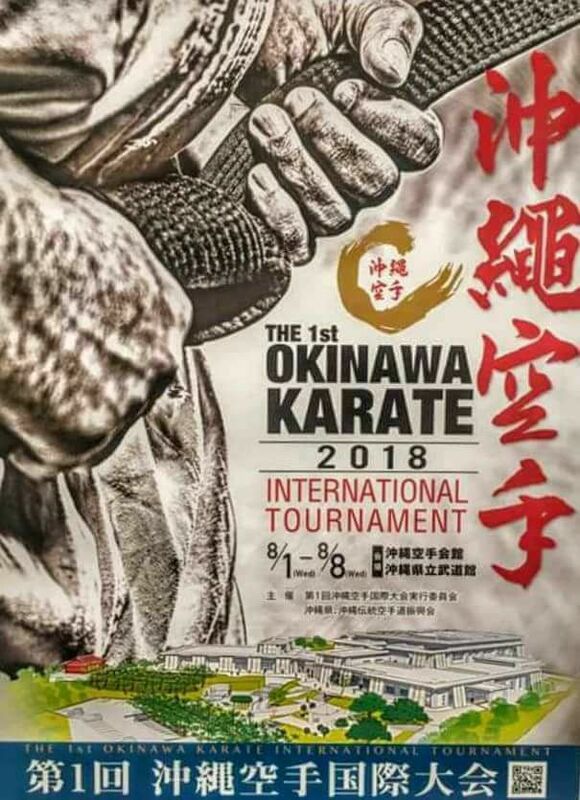 We hope that through this tournament Okinawan Karate enthusiasts can gather and build connections to properly inherit and develop the skills and spirituality of Okinawan Karate, which was systematized and handed down by our ancestors, and to further promote the development of Okinawa Traditional Karate and Kobudo. I hope many karate enthusiasts will join the tournament from around the world, learn the essence of Okinawan Karate as well as properly pass on and develop Karate. This entry was posted in Events on July 31, 2018 by Sensei Koszarsky. 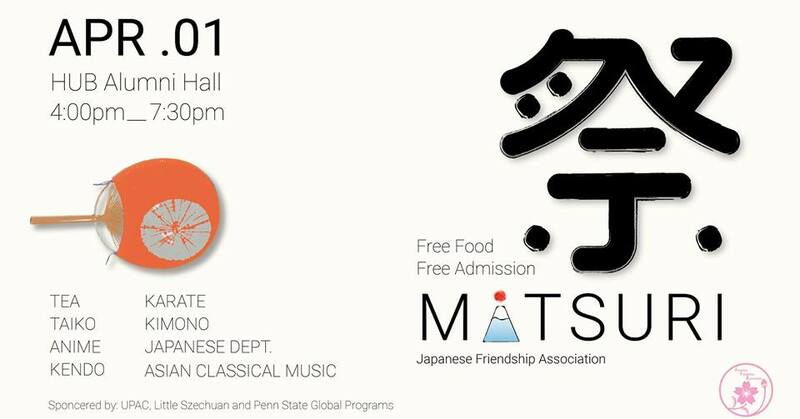 The Penn State Karate Club will be participating in the Japanese Friendship Association’s Matsuri 2018 on Sunday, April 1st at 6:30PM. The Matsuri event itself starts at 4PM. It will include traditional Japanese dance performance, Soran Bushi. Demonstrations by Kendo, Karate, Kimono, Taiko, Tea and Asian Classical Music Clubs. Interesting Japanese trivia and fun facts during intermission. FREE FOOD provided by Say Sushi, and tons of Japanese delicious snacks…and most importantly, FREE ADMISSION to everyone!! This entry was posted in Events on March 25, 2018 by Sensei Koszarsky. PSKC is offering a free basic self-defense workshop for students on Sunday, February 18th at 7:30 PM in Room 106 White Building. 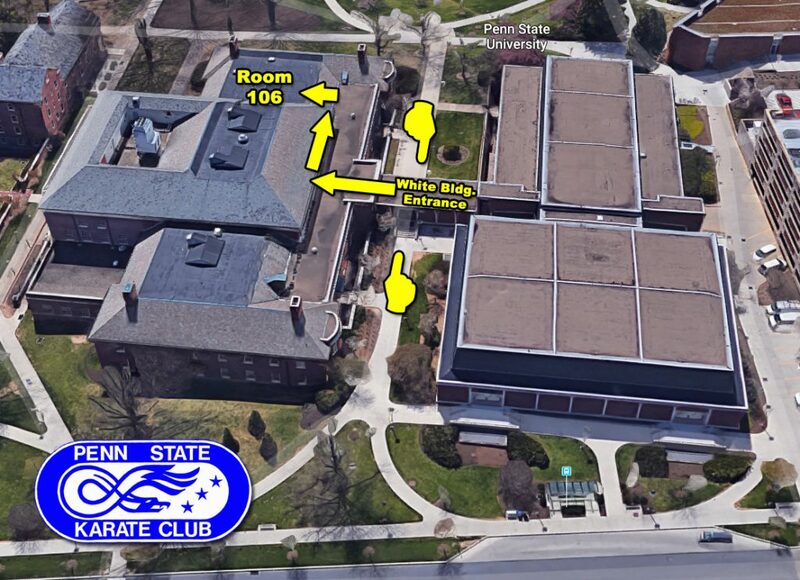 Remember to bring your PSU student IDs to enter White Building. This entry was posted in Events on February 16, 2018 by Sensei Koszarsky. Free Beginner Karate Class at Schlow Library today 2-3PM! Take a break from holiday shopping. Burn off some turkey-day excess. 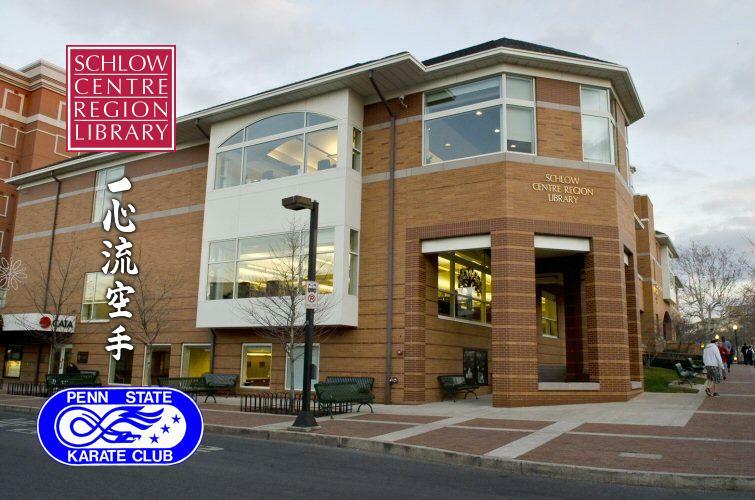 Join us today (11/25/17) from 2-3 PM at Schlow Library in the Downsborough Community Room for a free beginners Karate class. It is open to community members 16 & older. This entry was posted in Announcements, Events on November 25, 2017 by Sensei Koszarsky. 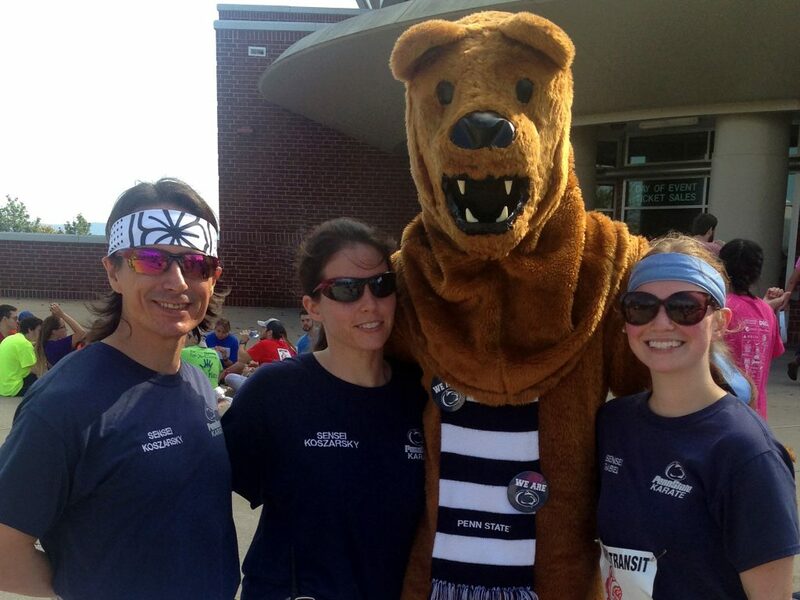 Black Belts with the Nittany Lion Mascot after the THON 5K. This entry was posted in Events, News on October 15, 2017 by Sensei Koszarsky. PSKC Brown Belts conduct a self-defense workshop for the Delta Phi Epsilon Sorority on March 30th, 2017. PSKC members will host another free self-defense workshop at Schlow Library on April 15th at 9am in the first floor community room. This entry was posted in Announcements, Events on April 10, 2017 by Sensei Koszarsky.